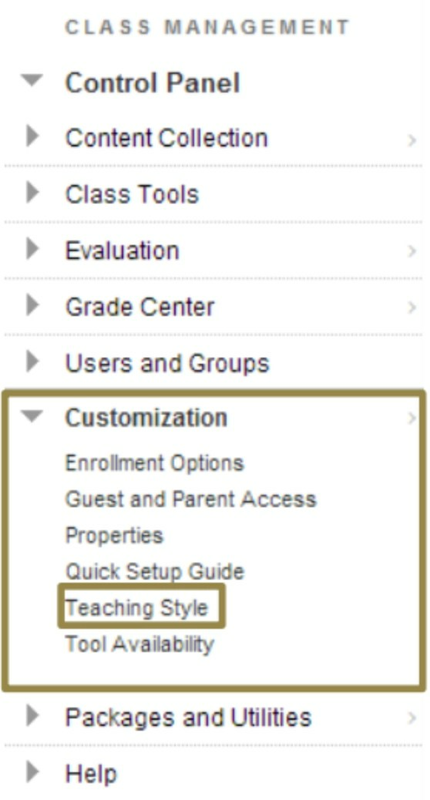 Click Customization, then Teaching Style. Scroll to item 2. “Select Class Entry Point” and select the course menu from the dropdown box.